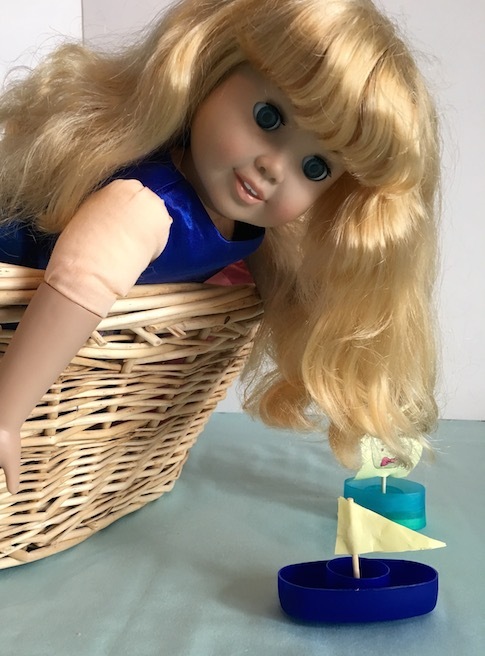 Now usually we try to keep our dolls away from water, but today, I am going to show you how to make these cute little boats that your dolls can race! 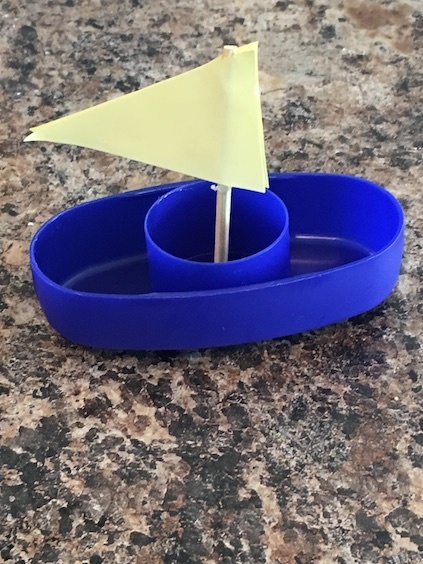 They actually float! Start with a lid. 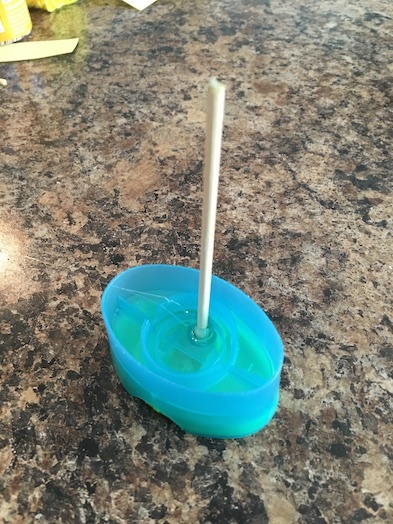 You can use any type of lid that floats. We used a shampoo bottle lid. 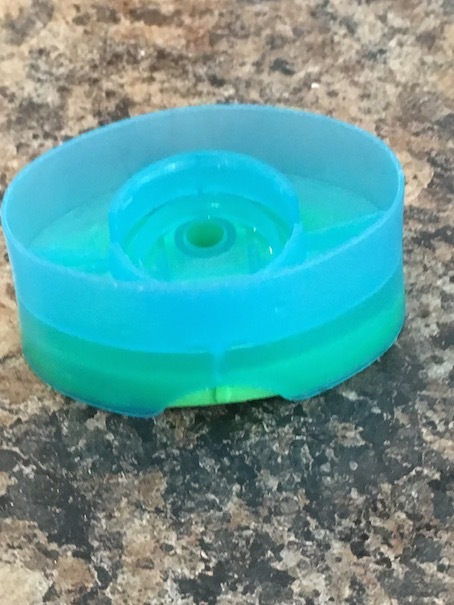 These types of lids work well because they already have a little hole in them. 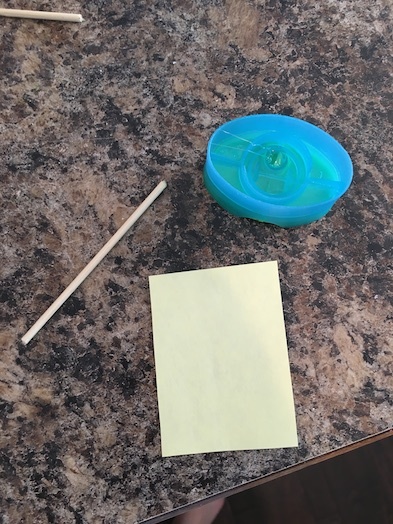 Besides the lid, you will also need a bamboo skewer and a piece of paper for the sail. Cut the bamboo skewer to size. Then glue it into the little hole in your lid. 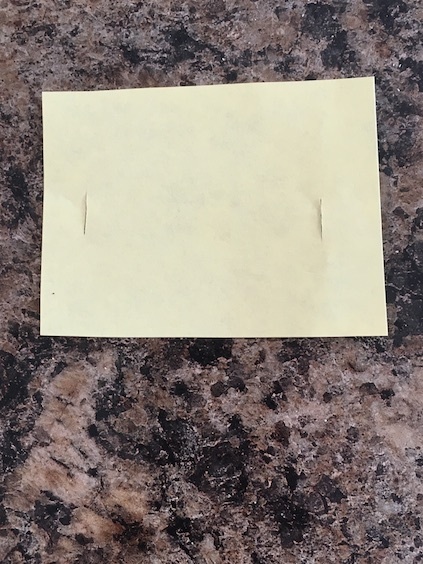 Cut two slits in your paper sail. 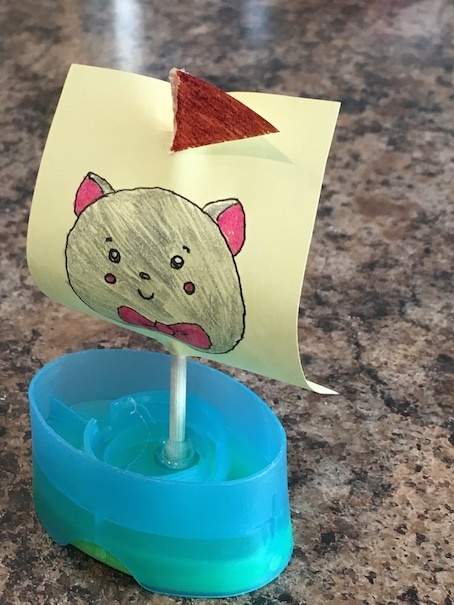 You should also take this time to decorate your sail however you choose. Thread your sail on the bamboo skewer. 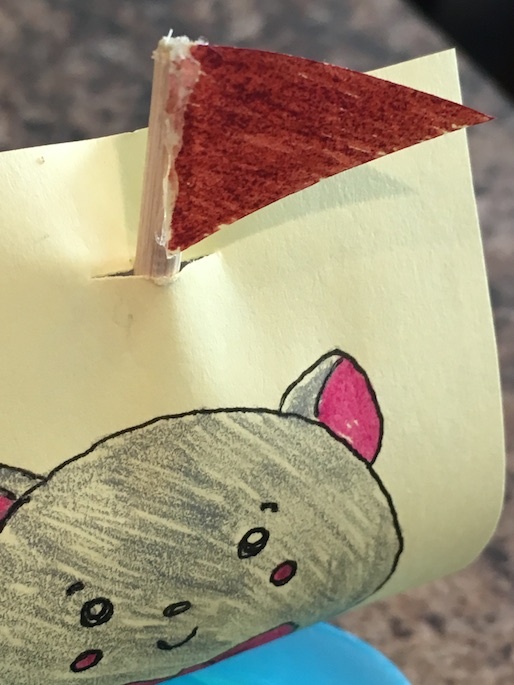 We glued a little flag on top to keep the sail in place. And you’re ready to race!! 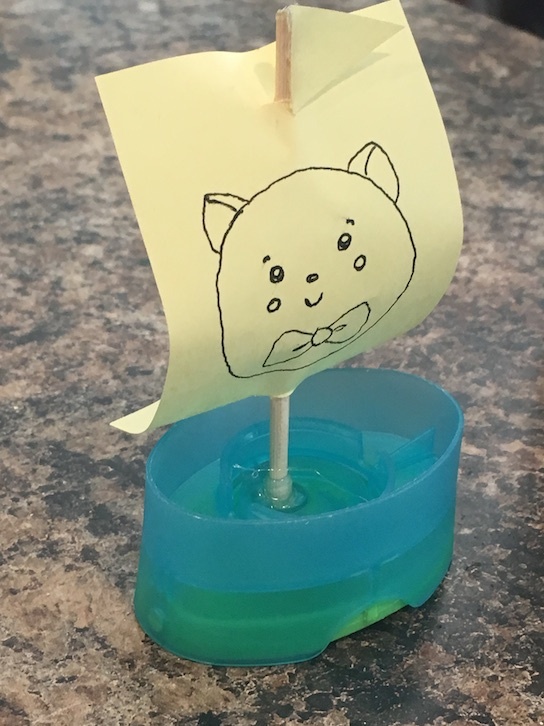 My daughter also made a little boat to race! 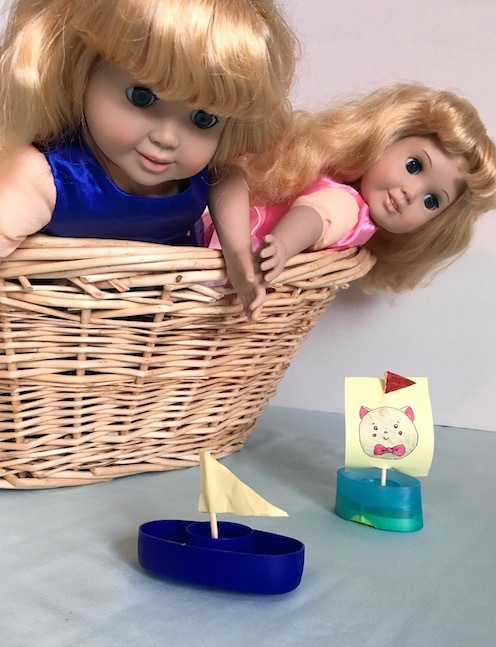 You can actually put these little boats in water to race, but for us, we like to keep our dolls away from water as much as possible. 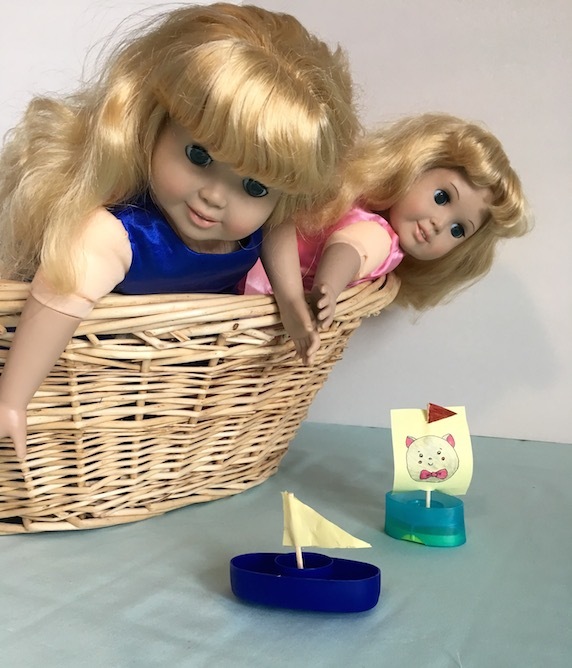 The twins, Clara and Laura are down by the docks racing their boats today! 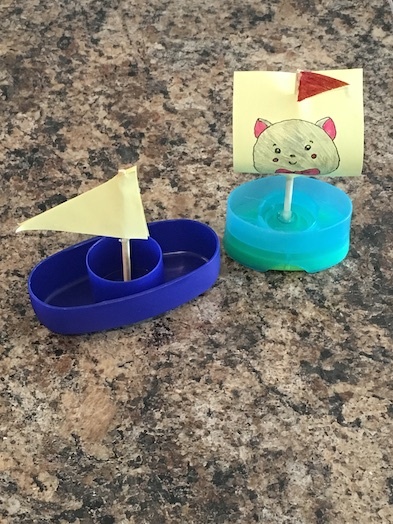 I hope you have fun with these little racing boats!